This phrase has stuck with me since I first heard a story, via James MacDonald’s Walk in the Word, about a man who doubted its sincerity and then found out just what it meant in action. Harvest Bible Chapel in Rolling Meadows, Illinois, close each service, from what I understand, with the words “you are loved.” This simple phrase reflects profoundly the heart of God’s relationship with us and sums up the ministry of the Church. It succinctly focuses in on the basic human need to be loved. If we are to reach the world then we are to love them – really love them. As God loves us, we are to love. I was pleasantly surprised to find Heather Williams’ You Are Loved from her album on iTunes just after her hit single Hallelujah. This is as close to the perfect musical complement to the sentiment we’re likely to get. Stand for Jesus and He’ll stand for you. Did you know your prayers are already promised to you? Jesus says, in John 14:13-14, “Whatever you ask in my name, this I will do, that the Father may be glorified in the Son. If you ask me anything in my name, I will do it.” Why, then, have we grown up, from childhood, with the belief that “all we can do is pray about it and leave it up to God,” as if this were some thing to do with a little shame and as a last resort? Hebrews 4:16 reads, “Let us then with confidence draw near to the throne of grace, that we may receive mercy and find grace to help in time of need.” The King James reads “Let us therefore come boldly.” Jeremiah 32:27 reads, “Behold, I am the LORD, the God of all flesh. Is anything too hard for me?” Again, in Malachi 3:10, God says, “Bring the full tithe into the storehouse, that there may be food in my house. And thereby put me to the test, says the LORD of hosts, if I will not open the windows of heaven for you and pour down for you a blessing until there is no more need.” Why, then, do we approach God in prayer as if we were troubling Him, pardoning our interruption, and begging for a meager sustenance of small things, as if small and large to us were of any consequence to God Almighty? I know why we do this. We do this because we have rarely and perhaps never experienced God’s answer to prayer for the things He seems to want us to pray for and about and to fully expect from Him. God’s gift of prayer is not some weak kneed comfort. It is a voice with God Most High, your King, who has promised to act on your behalf, and to comfort you, to strengthen you, to uphold you with His righteous right hand (Isaiah 41:10). 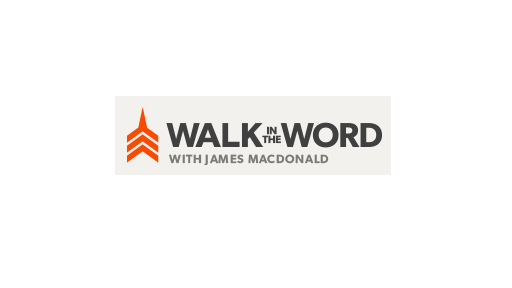 Post-Script: I owe James MacDonald’s Walk in the Word podcast for sparking my interest on God’s promises and our prayers. The podcast, part of a series, was called Promise #1 – God Is Always With Me. Post-Post-Script: You may find this further reading of value for more clarity: Why aren’t my prayers answered? I’m sure a google of the same question will yield great results. Goodbye, 2010, we hardly knew ye! Twenty-Ten has been a watershed year for me though I never really considered it like that before writing this. Many personally significant things have happened this year for me and I feel, perhaps, as if I am riding the crest of a wave, one which I’m both exhilarated to be on and also frightened I’ll either slip down the back side of or be let down as it fades. The one thing I will grab hold of is God and His promises and, by these, will I pray that, to face the future, I might become a Cannonball. My mother passed on early this year. My dad’s mourning has turned to happiness and he will be getting married early 2011. My brother had his first baby, the beautiful baby Arden. My sister’s family continues to grow and each of my nephews and nieces makes me proud. My father moved out of his house and into a new place for him and his fiance. I moved out of my apartment, of two years, into his old place and, I must say, it’s nice to live in a house again! Most strikingly, though, for me personally, I feel like I’ve finally emerged out of a three or four year “stop.” A “stop” is what I call it: A period of time where I just “stopped,” and tried to separate myself from pretty much everything, friends, family and, in some ways, my faith. These past few years have been a hard time. Both laborious and emotional. During this time, I stopped reading my bible, started mixing secular music with my Christian collection, questioned a lot of things in the bible, and experimented somewhat with the world. None of it satisfied, of course, but count yourself lucky if you don’t go, in spite of all wisdom to the contrary, and try to see for yourself what all the non-hoopla is about. You’ll better understand the next part now that I’ve told you about the music I used to love so much. Over time I started mixing Christian muic with secular. I love some of the mainstream stuff. Still do. I listen to music a lot, though, at work, in the car to and from work, to and from hockey and visits with friends up north. The problem with mainstream music is it’s about you and I, all the time, no breaks, ever. It became bitter to me. Very naturally, and without much fanfare, one day I just split up my collection into two folders, “christian” and “secular”, and my playlist has been “christian” ever since. That was a few months ago. For some reason, that started a change. It made me want to get back into my faith. I can’t remember when but, I got a smart phone around August, and, suddenly, I saw a new and intriguing way to read the bible. I started reading. I moved into my dad’s old place a few months ago which means I now have a 40 minute drive to/from work. Lots of people think that’s a drag. Turns out it’s brilliant for me. I listen to James MacDonald’s Walk in the Word on my way into work and Ravi Zacharias on the way home. Being under the Word each and every day is an amazing thing. I need to recognize Creation.com, my passion for creation a gift from my late mother, I suppose. I have had an interest in Creation for a long time even before this year and I think I owe it to Creation Ministries International (Creation.com) to recognize their contribution in effecting my life over the years. You see, Creation isn’t just about creation vs evolution: It’s about the very foundation of Christianity. God’s Word speaks to all the issues relevant in any given age and it is its first book that gives it the authority it needs to speak on those issues. The “young earth creationism” movement is about so much more than just saying the earth was created by God in six days. It’s the seabed foundation of the Christian faith and, without which, the entire faith breaks down into pointlessness. It is because of my reading of young earth creationism that I have an incredible trust in the reliability, authority and historicity of my bible. Do not dismiss creationism. Equip yourself and your friends and family with all that you need to know to be certain of your faith. Confidence in your God, His Word and your faith is there, you just need to go and get it. I will also mention The Light, a Galaxie radio channel on my Rogers cable tv. 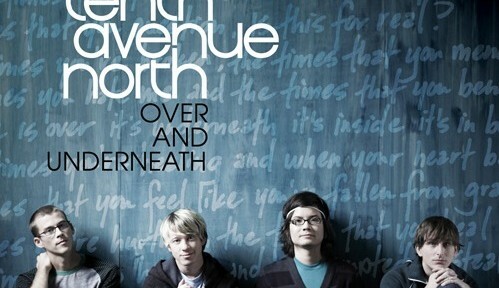 They actually do tend to play a number of decent Christian artists and not just fluffy pop. Since moving into my dad’s old house The Light is usually on in the background and is always on when I go for a run on my treadmill. As I write this, dc Talk’s My Will just started playing on The Light as I finished the last paragraph. Told ya they also play good stuff. Twenty-Ten is fast closing and I can only thank God for his grace and mercy to me, a sinner, and His sacrifice of His Son on the cross for me. I thank Him for this year and for literally changing me. I pray continually that He will keep changing me still. Thank you, God, for changing me. Thank you for this year. You already know my hope for next year. Please, may my hope be within your will.